In this article annealing, normalizing, austempering, quenching and tempering of ductile cast iron are described. The usual objective of austenitizing is to produce an austenitic matrix with as uniform carbon content as possible prior to thermal processing. 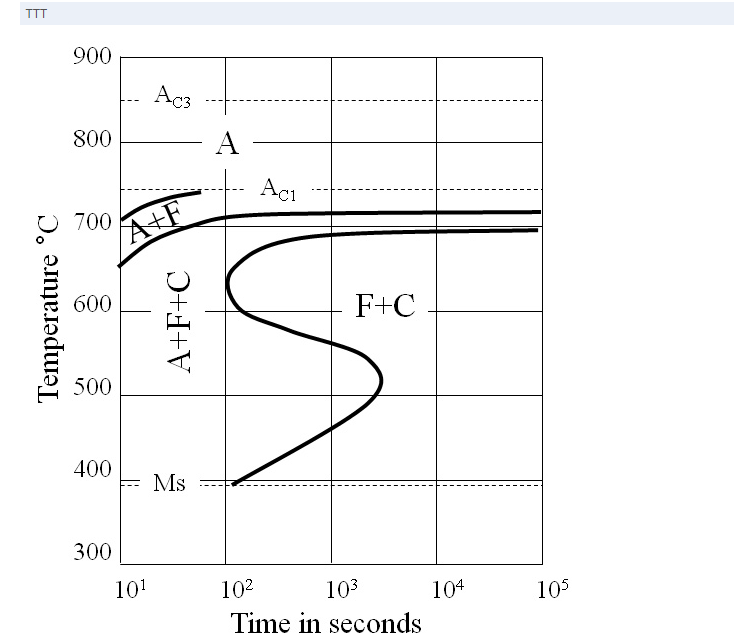 For a typical hypereutectic ductile cast iron, an upper critical temperature must be exceeded so that the austenitizing temperature is in two-phase (austenite and graphite) field. This temperature varies with alloy content. The "equilibrium" austenite carbon content in equilibrium with graphite increases with an increase in austenitizing temperature. 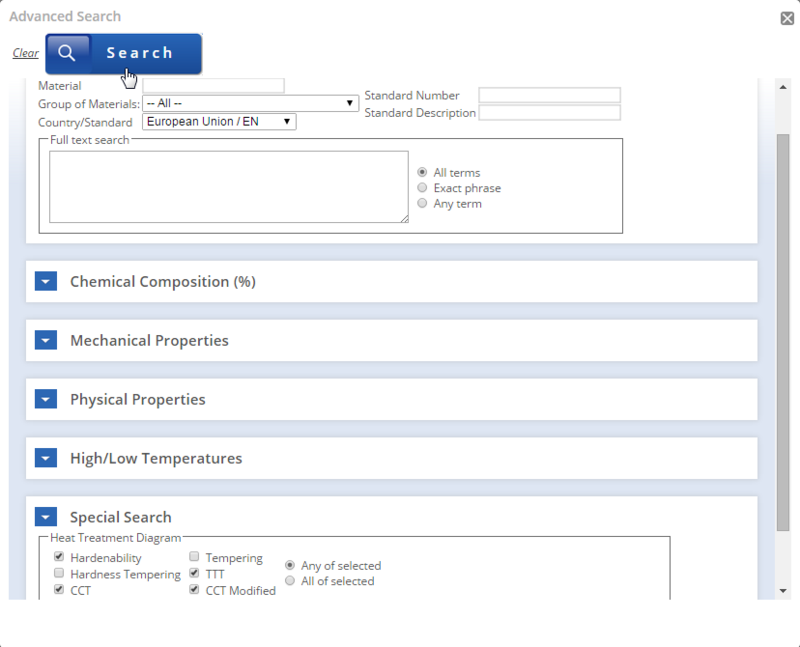 This ability to select (within limits) the matrix austenite carbon content makes austenitizing temperature control important in processes that depend on carbon in the matrix to drive a reaction. This is particularly true in structures to be austempered, in which the hardenability (or austemperability) depends to a significant degree on matrix carbon content. In general, alloy content, the original microstructure, and the section size determine the time required for austenitizing. The sections to follow on annealing, normalizing, quenching and tempering, and austempering discuss austenitizing when it is of concern. When maximum ductility and good machinability are desired and high strength is not required, ductile iron castings are generally given a full ferritizing anneal. The microstructure is thus converted to ferrite, and the excess carbon is deposited on the existing nodules. This treatment produces ASTM grade 60-40-18. Amounts of manganese, phosphorus, and alloying elements such as chromium and molybdenum should be as low as possible if superior machinability is desired because these elements retard the annealing process. 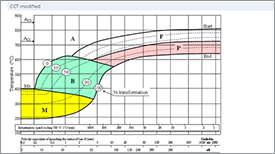 Full anneal for unalloyed 2 to 3% Si iron with no eutectic carbide: Heat and hold at 870 to 900°C (1600 to 1650°F) for 1 h per inch of section. Furnace cool at 55°C/h (100°F/h) to 345°C (650°F). Air cool. Full anneal with carbides present: Heat and hold at 900 to 925°C (1650 to 1700°F) for 2 h minimum, longer for heavier sections. Furnace cool at 110°C/h (200°F/h) to 700°C (1300°F). Hold 2 h at 700°C (1300°F). Furnace cool at 55°C/h (100°F/h) to 345°C (650°F). Air cool. Subcritical anneal to convert pearlite to ferrite: Heat and hold at 705 to 720°C (1300 to 1330°F), 1 h per inch of section. Furnace cool at 55°C/h (100°F/h) to 345°C (650°F). Air cool. When alloys are present, controlled cooling times through the critical temperature range down to 400°C (750°F) must be reduced to below 55°C/h (100°F/h). However, certain carbide-forming elements, mainly chromium, form primary carbides that are very difficult, if not impossible, to decompose. For example, the presence of 0.25% Cr results in primary intercellular carbides that cannot be broken down in 2 to 20 h heat treatments at 925°C (1700°F). The resulting matrix after pearlite breakdown is carbides in ferrite with only 5% elongation. Other examples of carbide stabilizers are molybdenum contents greater than 0.3%, and vanadium and tungsten contents exceeding 0.05%. The hardenability of ductile cast iron is an important parameter for determining the response of a specific iron to normalizing, quenching and tempering, or austempering. Hardenability is normally measured by the Jominy test, in which a standard-sized bar (1 inch diameter by 4 inch in length) is austenitized and water quenched from one end. The variation in cooling rate results in micro-structural variations, giving hardness changes that are measured and recorded. The higher matrix carbon content resulting from the higher austenitizing temperature results in an increased hardenability (the Jominy curve is shifted to larger distances from the quenched end) and a greater maximum hardness. The purpose of adding alloy elements to ductile cast irons is to increase hardenability. Manganese and molybdenum are much more effective in increasing hardenablitty, per weight percent added, than nickel or copper. However, as is the case with steel, combinations of nickel and molybdenum, or copper and molybdenum, or copper, nickel, and manganese are more effective than the separate elements. Thus heavy-section castings that require through hardening or austempering usually contain combinations of these elements. Silicon, apart from its effect on matrix carbon content, does not have a large effect on hardenability. The microstructure obtained by normalizing depends on the composition of the castings and the cooling rate. 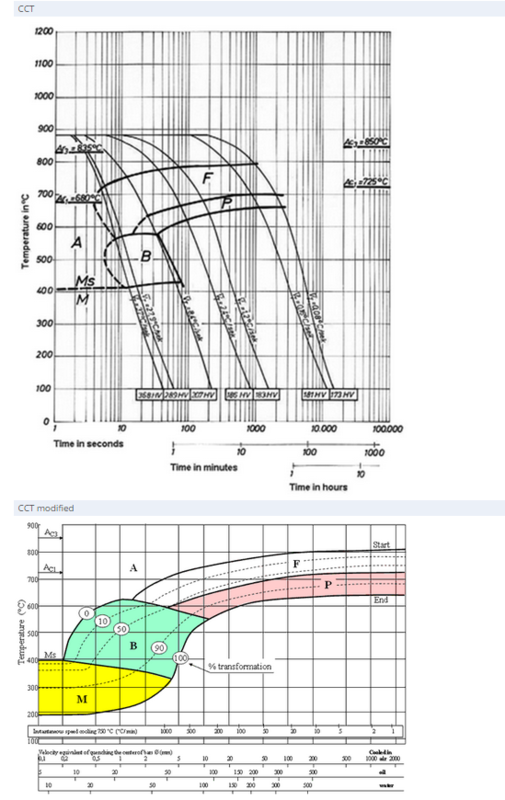 The composition of the casting dictates its hardenability that is, the relative position of the fields in the time-temperature CCT diagram. The cooling rate depends on the mass of the casting, but it also may be influenced by the temperature and movement of the surrounding air, during cooling. Normalizing generally produces a homogeneous structure of fine pearlite, if the iron is not too high in silicon content and has at least a moderate manganese content (0.3 to 0.5% or higher). Heavier castings that require normalizing usually contain alloying elements such as nickel, molybdenum, and additional manganese, for higher hardenability to ensure the development of a fully pearlitic structure after normalizing. Lighter castings made of alloyed iron may be martensitic or may contain an acicular structure after normalizing. The normalizing temperature is usually between 870 and 940°C (1600 and 1725°F). The standard time at temperature of 1 h per inch of section thickness or 1 h minimum is usually satisfactory. Longer times may be required for alloys containing elements that retard carbon diffusion in the austenite. For example, tin and antimony segregate to the nodules, effectively preventing the solution of carbon from the nodule sites. Normalizing is sometimes followed by tempering to attain the desired hardness and relieve residual stresses that develop upon air cooling when various parts of a casting, with different section sizes, cool at different rates. 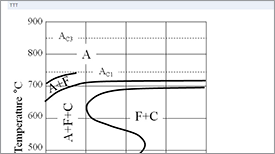 Tempering after normalizing is also used to obtain high toughness and impact resistance. The effect of tempering on hardness and tensile properties depends on the composition of the iron and the hardness level obtained in normalizing. Tempering usually consists of reheating to temperatures of 425 to 650°C (800 to 1200°F) and holding at the desired temperature for 1 h per inch of cross section. These temperatures are varied within the above range to meet specification limits. An austenitizing temperature of 845 to 925°C (1550 to 1700°F) is normally used for austenitizing commercial castings prior to quenching and tempering. Oil is preferred as a quenching medium to minimize stresses and quench cracking, but water or brine may be used for simple shapes. Complicated castings may have to be oil quenched at 80 to 100°C (180 to 210°F) to avoid cracks. The influence of the austenitizing temperature on the hardness of water-quenched cubes of ductile iron shows that the highest range of hardness (55 to 57 HRC) was obtained with austenitizing temperatures between 845 and 870°C (1550 and 1600°F). At temperatures above 870°C, the higher matrix carbon content resulted in a greater percentage of retained austenite and therefore a lower hardness. Castings should be tempered immediately after quenching to relieve quenching stresses. Tempered hardness depends on as-quenched hardness level, alloy content, and tempering temperature, as well as time. 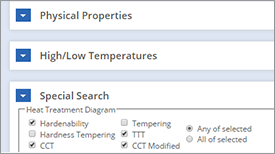 Tempering in the range from 425 to 600°C (800 to 1100°F) results in a decrease in hardness, the magnitude of which depends upon alloy content, initial hardness, and time. Vickers hardness of quenched ductile iron alloys change with tempering temperature and time. Tempering ductile iron is a two-stage process. The first involves the precipitation of carbides similar to the process in steels. The second stage (usually shown by the drop in hardness at longer times) involves nucleation and the growth of small, secondary graphite nodules at the expense of the carbides. 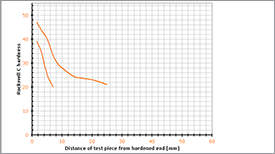 The drop in hardness accompanying secondary graphitization produces a corresponding reduction in tensile and fatigue strength as well. 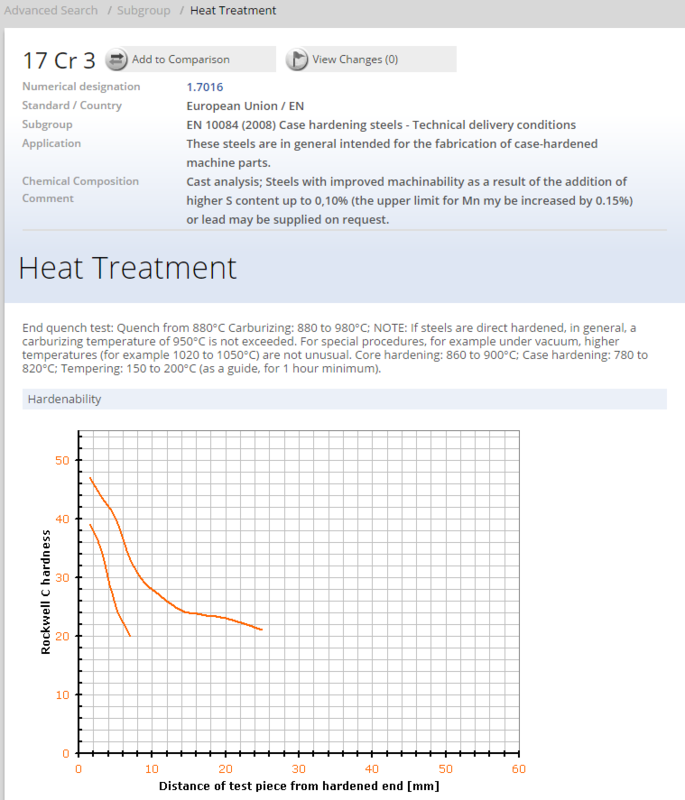 Because alloy content affects the rate of secondary graphitization, each alloy will have a unique range of useful tempering temperatures. When optimum strength and ductility are required, the heat treater has the opportunity to produce an austempered structure of austenite and ferrite. The austempered matrix is responsible for a significantly better tensile strength-to-ductility ratio than is possible with any other grade of ductile cast iron. 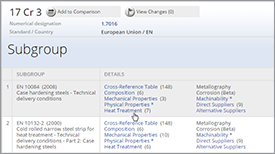 The production of these desirable properties requires careful attention to section size and the time-temperature exposure during austenitizing and austempering. 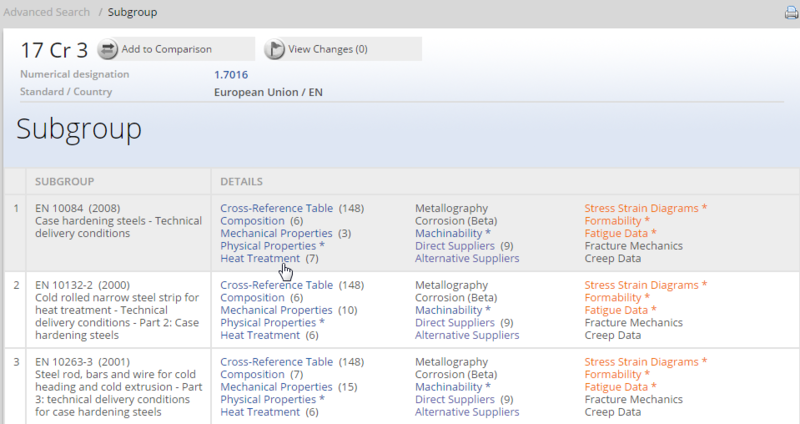 Section Size and Alloying. As section size increases, the rate of temperature change between the austenitizing temperature and austempering temperature decreases. Quenching and austempering techniques include the hot-oil quench (up to 240°C, or 460°F, only), nitrate/nitrite sail quenches, fluidized-bed method (for thin, small parts only), and, in tool-type applications, lead baths. In order to avoid high-temperature reaction products (such as pearlite in larger section sizes), salt bath quench severities can be increased with water additions or with alloying elements (such as copper, nickel, manganese, or molybdenum) that enhance pearlite hardenability. It is important to understand that these alloying elements tend to segregate during solidification so that a nonuniform distribution exists throughout the matrix. This has a potentially detrimental effect on the austempering reaction and therefore on mechanical properties. Ductility and impact toughness are the most severely affected. Manganese and molybdenum have the most powerful effect upon pearlite hardenability but will also segregate and freeze into intercellular regions of the casting to promote iron or alloy carbides. While nickel and copper do not affect hardenability nearly as much, they segregate to graphite nodule sites and do not form detrimental carbides. Combinations of these elements, which segregate in opposite fashions, are selected for their synergistic effect on hardenability. Austenitizing Temperature and Time. Usual schematic phase diagram shows that as austenitizing temperature increases, so does the matrix carbon content; the actual matrix carbon content depends in a complex way on the alloy elements present, their amount, and their location (segregation) within the matrix. The most important determinant of matrix carbon content in ductile irons is the silicon content; as silicon content increases for a given austenitizing temperature, the carbon content in the matrix decreases. Austenitizing temperatures between 845 and 925°C (1550 and 1700°F) are normal, and austenitizing times of approximately 2 h have been shown to be sufficient to recarburize the matrix fully. Austenitizing temperature, through its effect upon matrix carbon, has a significant effect on hardenability. The higher austenitizing temperature with its higher carbon content promotes increased hardenability, which causes a slower rate of isothermal austenite transformation. Austempering Temperature and Time. The austempering temperature is the primary determinant of the final microstructure and therefore the hardness and strength of the austempered product. As the austempering temperature increases, the strength and impact toughness vary. The attainment of maximum ductility at any given austempering temperature is a sensitive function of time. The initial increase in elongation occurs as stage I and elongation progresses to completion, at which point the fraction of austenite is a maximum. Further austempering merely serves to reduce ductility as the stage II reaction causes decomposition to the equilibrium bainite product. Typical austempering times vary from 1 to 4 h.